One of 2009's hit novels has now come to invade the widescreen in a bloody adaptation. The master of classical and horror cross-overs, Seth Grahame-Smith, has his book up next in this line with Pride and Prejudice and Zombies. The book is a favorite among many classical fans and apocayptic and horror fan readers that it was followed by Pride and Prejudice, Zombies, Abraham Lincoln, Vampire Hunter and The Last American Vampire. Of course many authors have followed suit into this "new" genre, proving how successful this kind of novels become. And this upcoming movie adaptation is one other proof of that. 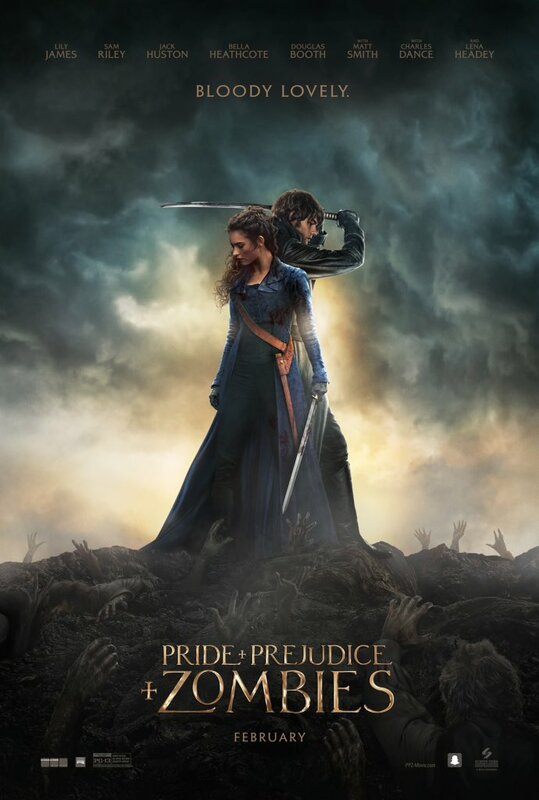 Pride And Prejudice And Zombies is directed by Burr Steers and stars Lily James, Sam Riley, Jack Huston, Bella Heathcote, Douglas Booth, Suki Waterhouse. With Matt Smith and with Charles Dance and Lena Headey. Check out the official trailer of Pride and Prejudice and Zombies. Pride and Prejudice and Zombies will be released in theaters on February 12, 2016. Have a bloody Valentine's Day by then!